Disappointment can arise quickly when findings, risk assessments and recommendations are not accepted because business counterparts see things differently. In fact, it is generally accepted today that facts, figures and logic alone will not necessarily convince someone to agree or take action. One key reason is that there is no direct interface between the brain areas responsible for logic, thinking, and language, and those areas that are the foundation of behavior and decision-making. Therefore, the real fault lies in the lack of knowledge about the ingredients necessary to be successful in convincing others. 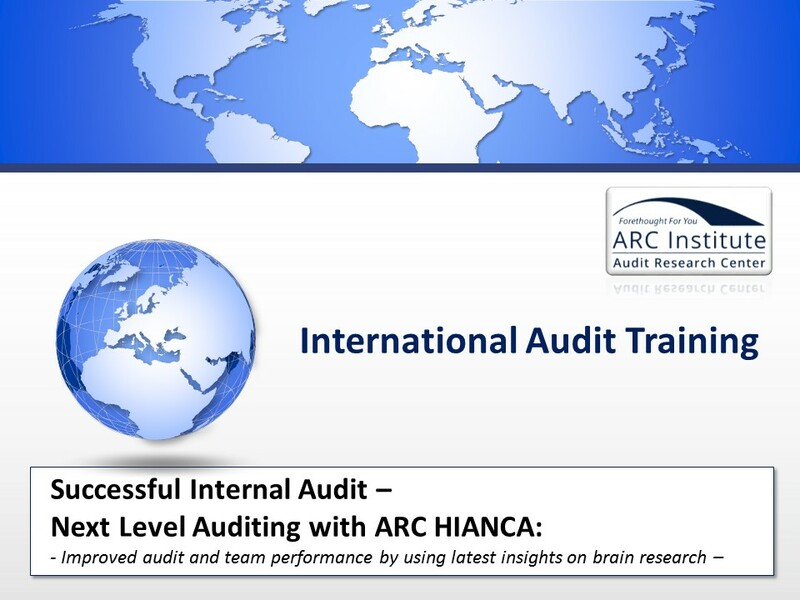 The key objective of the ARC HIANCA training is to clearly understand the mechanics of behavior and decision-making from a brain research perspective. The major benefit of this training is not only better communication and team skills, but also learning how to win the acceptance of others and establish excellent working relationships. 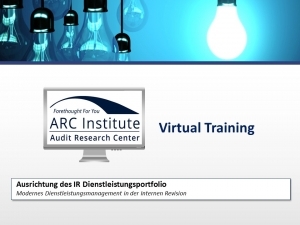 This training is one of the main drivers that contribute to high-performance audit teams: strong, self-confident auditors with excellent relationship-building and communication skills, whether they are communicating with business counterparts or within the audit team. 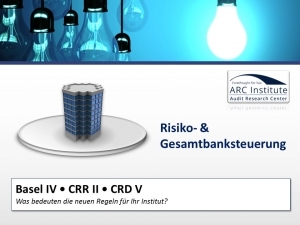 This training is offered at two levels: for the management team of Corporate Audit, and for audit team members. The training is tailored to audit management, with a focus on understanding the point of view of senior business counterparts and how to communicate with strategic stakeholders, including senior management and the Board. Stakeholder’s needs, effectiveness of relationships, and the role of Internal Audit and Audit executives are examined. Very often, internal auditors may experience push back, lack of cooperation and even aggression from some business counterparts. ARC HIANCA helps to prevent and deal with such situations before they result in conflict. 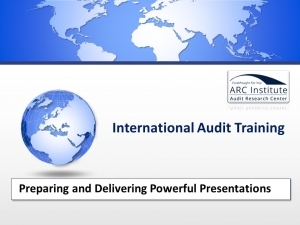 In addition, the training offers internal auditors the opportunity to understand the different roles of management, e.g. typical behavior concepts in leadership, the manager as expert, doctor or coach. Participants will learn the pros and cons of each role and resulting impact on their own behavior. Ultimately, participants become more comfortable and skilled at persuading and influencing no matter their hierarchical perspective. Follow-up group web-coaching sessions may take place two to three months after the workshop so that participants may ask questions and get feedback on current audit communication challenges. 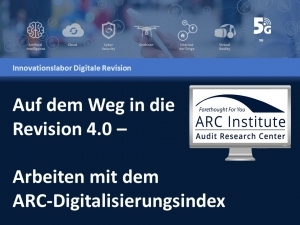 The ARC HIANCA approach is based on concrete fact-based results, and the research of Nobel laureate Prof. James Rothman (Yale University), Prof. Randy Schekman (Berkeley University) and Prof. Thomas Südhof (Stanford University) and Prof. Gerd Gigerenzer (Max Planck Institute for Educational Research). These findings, combined with the system of “Somatic Markers” by Antonio Damasio, enable us to conduct our conversations privately and professionally at a new level. This combination of methodical approaches is bundled into neuro-systemic coaching under the name ARC Intuition-Heuristic Approach: ARC HIANCA. 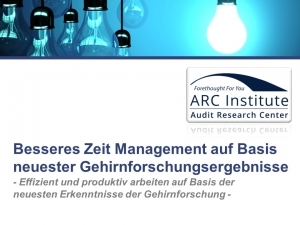 Today, it is generally accepted that our interpersonal competences directly affect audit work and audit success. Not only cleanly documented analysis, but also cleverly guided interviews, discussions, and opening and closing audit meetings enable auditors to bring the company forward and convince the audit client of the audit findings, risk assessments and recommendations. Numerous auditors have learned how to perform manual audit procedures in training. 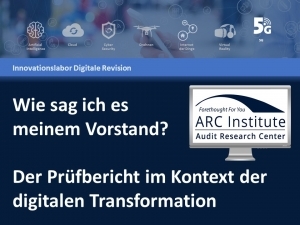 However, it is precisely at the conclusion of an audit that it becomes clear whether the auditor is in a position to successfully implement the audit results generated, resulting in a transformation of the business. 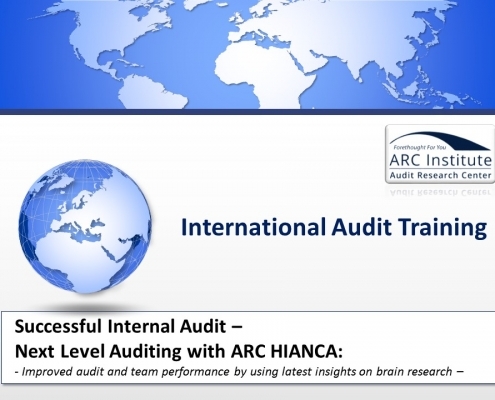 ARC HIANCA empowers your Internal Audit team with the right tools, techniques and strategies to drive audit success.